On December 1, James ‘Mad Dog’ Mattis was appointed by President-elect Donald Trump to become the new secretary of defense when Trump finally takes the presidency on January 20th. Mattis was a retired United States Marine Corps general who served for 41 years, then retired in 2013. Trump met with Mattis for an hour, discussing the job offer of secretary of defense. He led troops in Kuwait during the Persian Gulf War, in Afghanistan during the initial U.S. wave in 2001 and in Iraq during the 2003 invasion. He capped his career as the head of U.S. Central Command, where he was in charge of all American forces serving in the Middle East and oversaw the wars in Iraq and Afghanistan. Mattis was famous for his sharp attention towards military tactics and strategy. He is well known for his often blunt and honest manner of speech. Debate about whether it should be allowed for Mattis to occupy the position has been sparked recently. Trump is required to sign a waiver for Mattis to take the seat of secretary of defense, as Mattis retired only three years ago. The Constitution states that in order to be qualified for such position, one must not be in active military service for at least seven years, in order to establish civilian control over the military. Previously, there has been an exception made for George C. Marshall in 1950, but Congress noted that it was an exception that would not be repeated. This has caused a lot of discussion. Some wish for an exception to be made for the case of Mattis, but others argue that it is not a sensible decision. 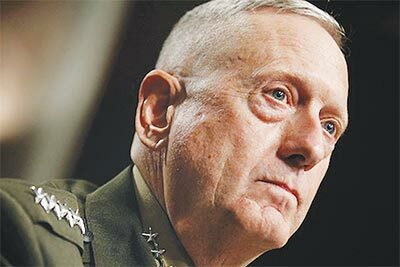 Several active Republican leaders in Congress have already showed their support in granting a waiver for Mattis, as stated by the Los Angeles Times. However, it has become evident that the Democratic leaders haven’t been as enthusiastic in the appointment of Mattis, despite their heavy respect for the former Marines general. According to the New York Times, there have been people who disagreed with the appointment of Mattis, one of them being a junior senator from New York, Kirsten Gillibrand. Gillibrand stated that while Mattis is an admirable figure, the Constitution still clearly states that it is not possible for Mattis to take this position until he has been away from military service for seven years. She reasoned that examination must be taken before any immediate decision is to be made.